Thinkster launched a national movement with the website HowLearningWorks.org to encourage dialogue, discussion and sharing of best practices among teachers, parents and students across the globe. Point of Learning Analytics, Gamification and Personalised Learning. 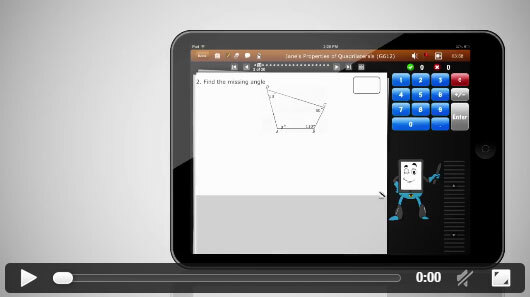 Thinkster is a flagship educational technology platform for iPads from Prazas Learning Inc. Designed to completely transform the way the world looks at learning, the patent pending platform provides teachers and students with a highly personalised learning experience, which focuses on the learning activities that happen at the Point of Learning for each student. Currently available on iPads and Android tablets, it is an innovative digital platform that combines best of personalised teaching with a fun and engaging learning program that supports multiple subjects. It is tailored to every student using a combination of patent-pending Active Replay Technology (ART) that allows sharing and review of handwritten work, automatic grading, video tutorials and adaptive analytics. In addition to a consumer-focused product, the award winning Thinkster platform is used in private and public schools across the world. It offers significant hard and soft dollar benefits for schools that adopt the learning platform to deliver regular paper-based assignments on the iPad. Schools adopting the platform have derived immense benefits to all stakeholders’ involved with a few non-exhaustive ones listed here.